Bitcoin Price is an indie, unbiased resource of live data and detailed guides especially aimed at new comers, which are the most vulnerable to scams and fake news. The Complete Guide on How to Accept Cryptocurrency DonationsHave you ever thought why a charity or a nonprofit organization would want to use cryptocurrency in the first place? If you are a member of either one of those, you would already know how hard it is to find new and creative ways to fund your mission. 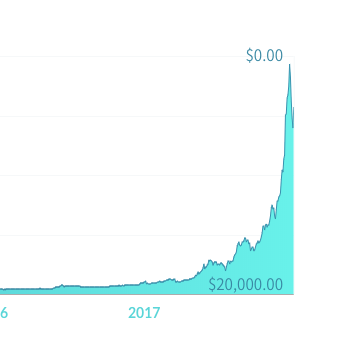 Would you recommend Bitcoin Price to a friend? @joshuapinter thanks for the headsup Joshua, on it! Who are we 🐻 We are a small group of crypto enthusiasts, developers, illustrators, designers, and bloggers who decided to join forces and create an independent, unbiased resource to help new comers to the space learn about the pros and cons of cryptocurrencies, blockchains, and the crypto community at large. Why is the site named Bitcoin Price 🚀 After a few weeks of research, both online and talking to strangers and friends of friends in real life, we’ve realised that one of the main points of entry to the cryptocurrency world for the vast majority of people is googling for “bitcoin price” after they find out about the booming currency from the media. So instead of using a fancy web 2.0 name we decided to choose a keyword that most new comers are actively searching for and hoping that by creating high quality content around it we will become visible enough in search engines and we will be one of the first points of contact for new crypto enthusiasts. And by landing on this site instead of the various exchanges who advertise for this keyword, they have the chance to educate themselves a little instead of going straight in, which can save them a lot of time, money, and potentially save them from being scammed. “All-time-highs attract new people who buy and then get spooked by price dips. Help them to first invest in education about the technology, instead of speculation.” ~ Andreas Antonopoulus What you can expect from us ✨ We are working on some detailed guides, tutorials, videos and interactive infographics to help people understand the internet of money and the new technologies, philosophies and challenges we need to be aware of sooner rather than later. Great sight 👍 will you be adding a sign up for update?